It has been 15 months since I began paying attention to how much sugar I was consuming on a daily basis and trying to achieve a level closer to the World Health Organization’s recommendation of limiting sugar to only 5-10% of my daily calories. Prior to that time, I was consuming the daily total and more by the completion of my breakfasts. By the end of the days, I was likely hitting somewhere around quadruple the recommended amount. 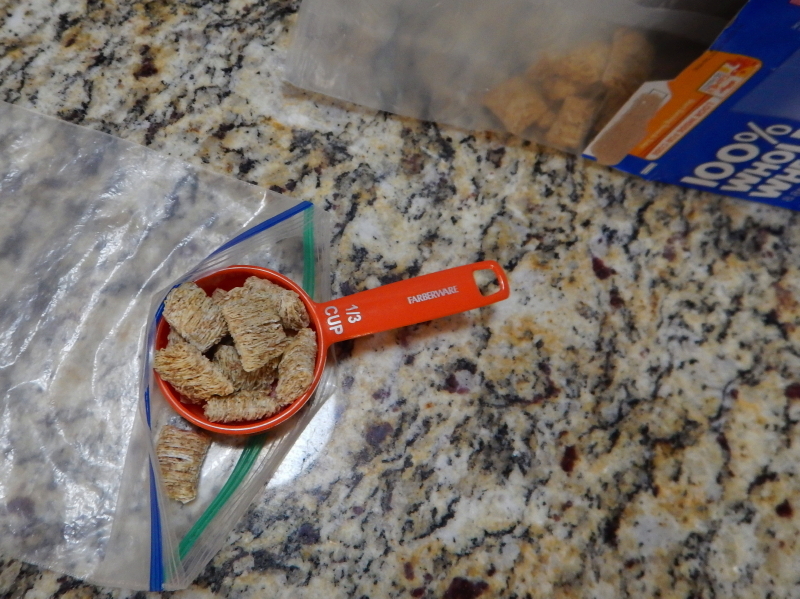 For more than a year I have been measuring the amount of cereal and yogurt I serve myself to keep the serving size small enough to provide no more than 10 grams of sugar per meal. Based on a 2000 calorie per day diet, I was aiming to stay below around 200 of those calories to come from sugar. One gram of sugar contains 3.87 calories. One trick with my plan is keeping the total calories at the daily target of 2000. The average American diet all too easily exceeds that amount. So, by wanting to reduce my sugar intake, I found myself also bringing my total calories down. That is not something I ever bothered measuring before this effort. I simply knew that I should aim for a balance of obvious healthy choices. At the same time, an addict will respond to urges that exceed what they know to be healthy. I was addicted to sugar. Not only were the lab results for my blood work revealing I was pre-diabetic, I was uncomfortably pudging out. The love-handles and belly bulge, the flabby arms, and my usual full face were ever present and slowly expanding. My main goal was to appease the pressure from my doctor to get my numbers down for glycosylated hemoglobin, or HbA1c. After a year of working on it, I was looking forward to this year’s physical to learn the results of my efforts. Much to my surprise, I’m not there yet. My results this time, after a year of attention to my sugar intake, came in at 5.9. Doc says there may be some genetics involved, as well as the fact that as we age our pancreas function deteriorates. I figure it’s because I had eaten so many of Cyndie’s sweet caramel rolls over the years, it will take me longer than a year to purge the glucose from my system. So, my HbA1c may not have come down where the doctor wants to see it, but in the past year I have pleasantly reduced most of that flab that I never liked and I’ve dropped 8 pounds since my last visit to the clinic. I’ll claim that small victory and keep measuring my sugar grams in search of a lower number for the level of my hemoglobin-bound-to-glucose next year. I want to keep my diet below the daily amount of recommended sugar to help my body as much as possible. My poor pancreas isn’t gettin’ any younger. Wow. And you have the added challenge of feeding your kids at a time when processed food is more prevalent than ever before. Be ever vigilant! I believe the rewards are worth the effort, despite my uninspiring numbers.